Grapes picked before 8 a.m. for cold delivery then gently pressed and transferred to tank for cold settling. Transferred to 100% French oak for fermentation with 25% going through secondary malolactic fermentation. Yeast lees were stirred weekly during aging to encourage texture development and a notably creamy aroma. 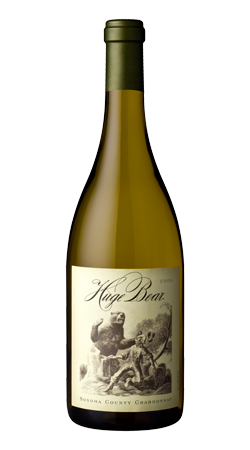 Huge Bear Chardonnay is a rich mouth-watering wine that pairs perfectly with roasted free-range chicken and grilled Pacific salmon.